I'm a huge Hunger Games fan, so when I heard about Divergent I was pretty keen to read it and see the movie - there are many similarities between the two series! Dystopian reality, post apocalyptic world... my favourite. I really enjoyed the first book and will be reading the second and third soon (just finishing off The Help by Kathryn Stockett first). The movie was good, too! I wish they had spent more time on the training and on Al and Tris' relationship, but other than that it was fine. And as a bonus, the guy who plays Four is absolutely gorgeous ;). I decided to do some Divergent nails; here's the tutorial, and please subscribe to my channel! I think everyone who watches/reads this series will be curious about which faction they'd be in. I definitely wouldn't be in Dauntless (my self-preservation instincts are WAY to high for that), but the other four are all options. Maybe Amity, although I don't know much about that one yet. I think the next books explore it a little more. Where's the nail art faction at? OPI - A roll in the hague, You don't know Jacques! I got my inspiration for this design from this picture. Here's the other hand. 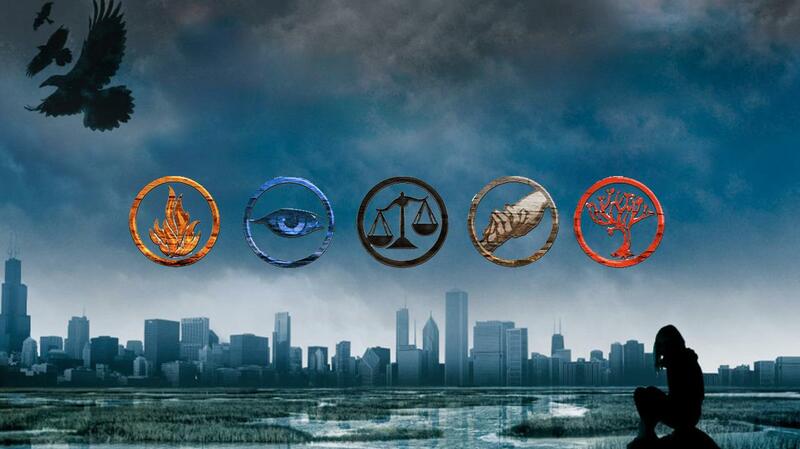 Which reminds me, the abnegation symbol was really hard to do! Both that and the eye kind of screwed up on this hand. That's okay though, I almost always paint my right hand first when I'm doing tutorials; it's my practice hand. Have you guys seen the movie or read the books? What did you think of them? Let me know in the comments!